The company’s hard work has been recognized several times this year, culminating last week in HR Tech Outlook’s listing of Zalaris among its Top 10 HR Solution Providers in Europe. The publication evaluated more than 500 solution providers as part of its annual special edition. 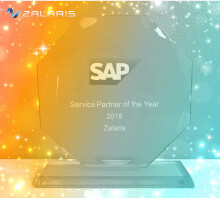 According to HR Tech Outlook, Zalaris stood out from other continental service providers due to its comprehensive, cloud-based approach and its multi-country solutions based on SAP SuccessFactors and SAP HCM. The company’s strong local presence and competence in various countries was also identified as a differentiator. “While the speed of deployment sets Zalaris apart from its competitors, leading advisors in the industry (also) consider the company as the most fitting business partner for human capital management,” the magazine wrote. Following 2017’s acquisitions of ROC Global Solution Consulting Limited and sumarum AG, 2018 has featured a number of recognitions from leading industry advisors. NelsonHall named Zalaris a market leader in cloud HR services in November due to the company’s proven ability to deliver immediate transformational benefits to customers while being well-positioned to meet their needs in the future. 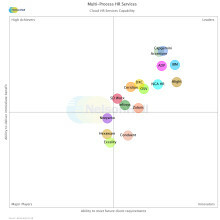 In August, Everest Group designated Zalaris as a major contender in their report on global SAP SuccessFactors-based HR process services. “This recognition represents a growth opportunity for us and our customers — to provide a coherent end-to-end employee experience including transactional HR, such as payroll, business processes and strategic HR processes,” Mellerud said at the time of the Everest Group announcement. Earlier this week, Zalaris was listed among international investment bank Raymond James’ Human Capital Insights monthly update for the first time, marking its place on the radar of international analysts and investors.